Modern medicine is more powerful than ever, but also increasingly overwhelming to practitioners. Life saving treatment decisions often need to be made quickly in an environment of uncertainty, but medical knowledge is increasing exponentially making it difficult for clinicians to keep up. Patients are now treated by increasingly large care teams that must collaborate quickly and effectively. One small breakdown in communication can have catastrophic results. ESCAVO aims to address these challenges by creating mobile software that aids clinical decision-making and workflows, with a focus on high impact clinical areas like sepsis. Our products are designed to provide high-value content, be engaging and simple to use, and fully leverage the capabilities of modern mobile platforms. 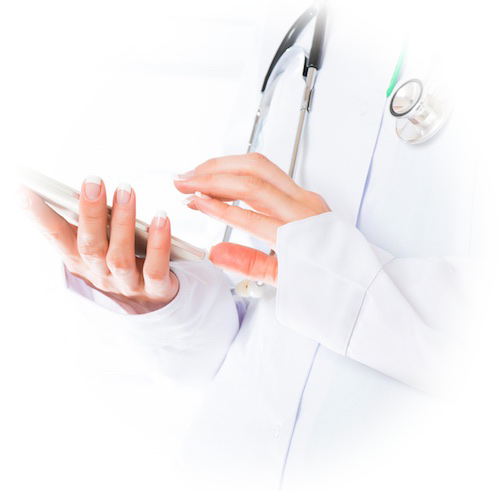 Our team includes physicians, medical writers, software developers and designers committed to the improvement of healthcare through the use of mobile technology. Physicians are completely engaged in all content and software development efforts ensuring that everything we do is precisely tailored to the needs of healthcare professionals. Our mission is to create high quality medical content and engaging mobile health applications that improve the delivery and quality of healthcare. SteadyHealth, July 2018. SteadyHealth, a leading health-related online community intended for users to educate themselves on health related aspects, share their experiences and exchange access to valuable health-related resources, interviews Daniel Nichita, MD, ESCAVO’s founder and author of the Sepsis Clinical Guide app. Clinical Lab Products, May 2018. Beckman Coulter, one of the world’s leading medical diagnostics companies, announces exclusive sponsorship of ESCAVO’s Sepsis Clinical Guide app, a mobile point-of-care medical reference application for healthcare professionals who manage septic patients in acute-care settings. iMedicalApps, Medpage Today, December 2017. iMedicalApps, a leading medical app review publication, declares Sepsis Clinical Guide a “must-have for medical professionals” and favorably reviews Sepsis Timer, ESCAVO’s latest clinical decision support app that helps physicians complete sepsis treatment steps on time according to the latest guidelines.